Possible heat exchanger has a hole or big crack. Another possible cause is a combustion air intake pipe getting a plugged screen, Which will cause the room to work in A negative air pressure. 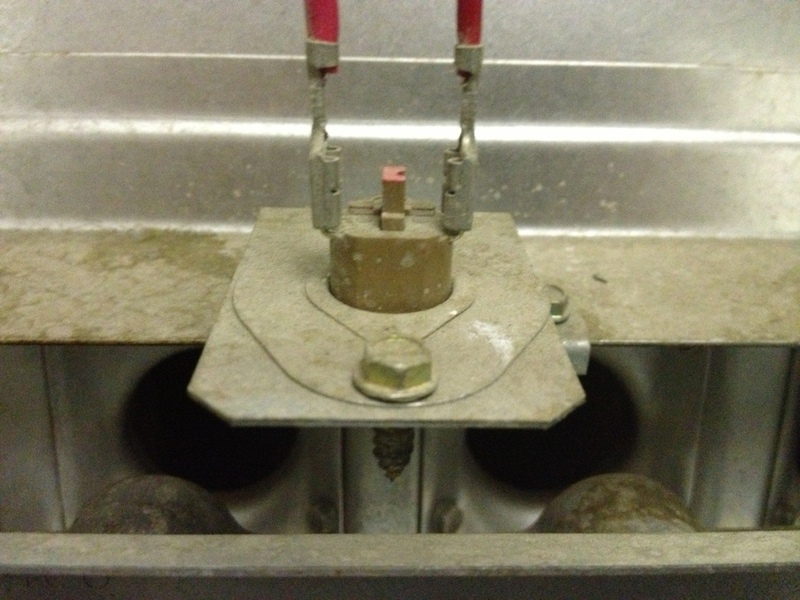 Then air will be pulled in through the exhaust vent pushing flames out of heat exchanger and tripping the switch. Between the wires the switch has a resettable button, but the cause of the problem should be found before leaving furnace. Never jump safety switch as it could cause property damage.